Oh Walkman, how you’ve changed. Sony just announced three new additions to its Walkman line of music players. The players update its A, S, and E lines, and all include a karaoke mode, language learning function and bookmarking. They also also have a SensMe feature, which categorizes your tunes by mood, allowing you quick access to those depressing jams when you need them. All three models will be available in September. You can check out the press with all the juicy details on each model below. Do any of you still use a dedicated MP3 player? Are any of these features enough to make you want to pick up a Walkman? The Walkman A-Series (NWZ-A860): The Walkman player of Audiophiles’ dreams, delivering the best-of-the-best audio experience. * A 2.8″ WQVGA (400×240) TFT touch screen delivers incredible color for fast, rich viewing of photos, videos, and album artwork. The hybrid operation system provides intuitive touch panel controls and traditional button controls for playback. 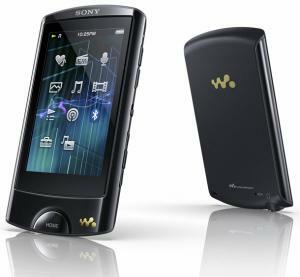 The Walkman S-Series (NWZ-S760BT): Mobile music. Unplugged. The Walkman E-Series (NWZ-E460): The colorful Walkman. * The 2″ QVGA (320×240) high-brightness screen, color LCD provides fast, rich viewing of photos, videos, and album artwork. * 5 colors to choose from, including black, red, blue, green and pink. Comes in 4 GB, 8 GB or 16 GB options: 4 GB – $79; 8 GB – $89; 16 GB – $109 (SRP).